This was a blog post that was supposedly due eons ago, and HFB could conveniently forget about it, but he had so much fun during the session that he had to share it with everyone. 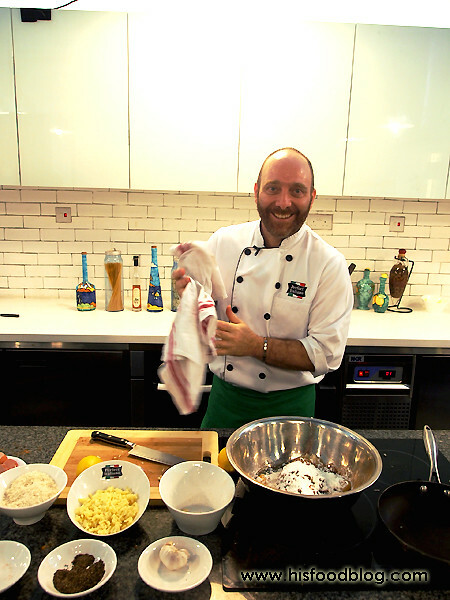 At the beginning of the month, he was invited along with several other bloggers to attend an exclusive Perfect Italiano Masterclass by Chef Lino Sauro from Gattopardo – to learn how to make simple and delicious dishes with Perfect Italiano cooking cheeses. 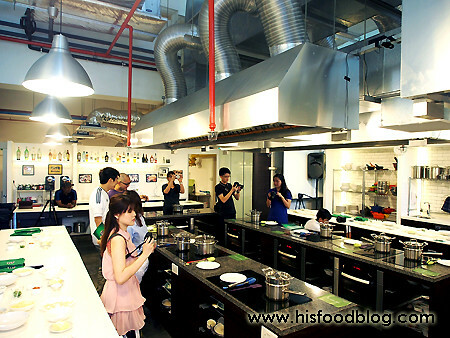 We arrived at Palate Sensations Cooking School at Biopolis, and was quickly briefed on the three dishes that we would be attempting. We started off with the Wanton Ravioli with Soya Marinated Prawns and Parmesan Fondue, and HFB have to say that this was easily the simplest and his favourite dish out of the trio. 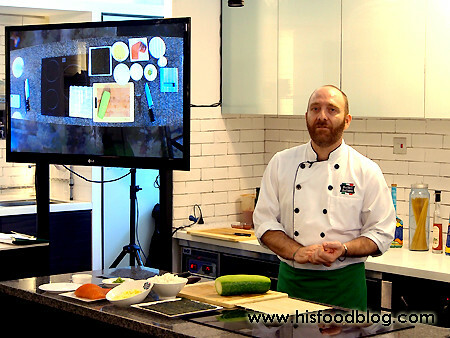 He could definitely foresee himself recreating this dish next time. 1. 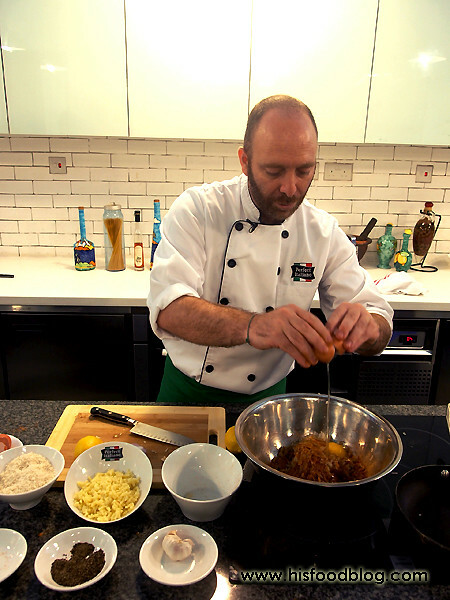 Peel and marinate prawns with soya, garlic, olive oil and spring onion. 2. 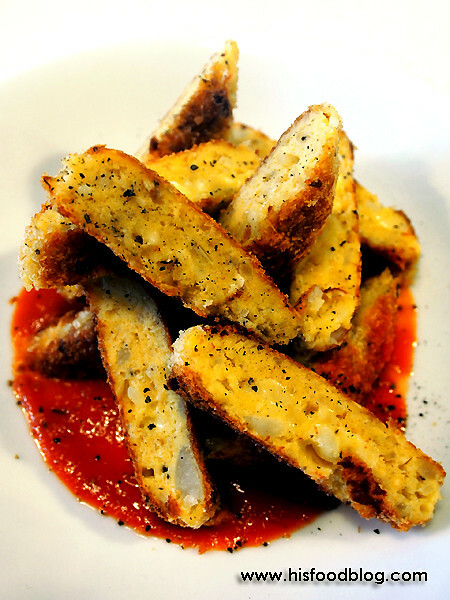 Make Parmesan fondue by mixing Perfect Italiano Parmesan Grated Cheese, milk, butter and white wine. 3. Warm up mixture in a bain-marie till creamy and season with white pepper. 4. Fill wanton with prawn. Seal nicely with egg wash, and cook in boiling water for 2-3 mins. 5. Ladle fondue on plate and lay down the cooked ravioli. 6. 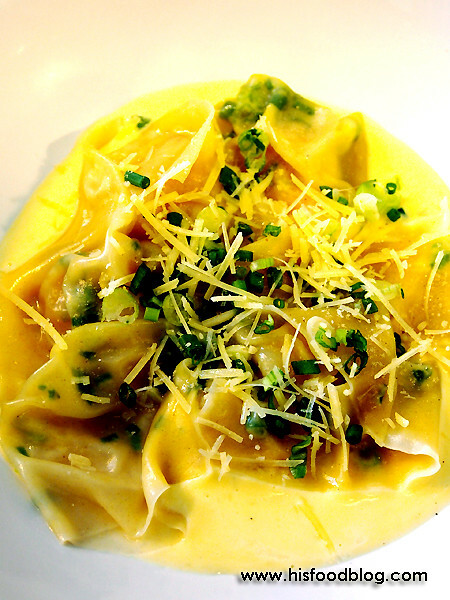 Garnish with Perfect Italiano Parmesan Grated Cheese and spring onion. 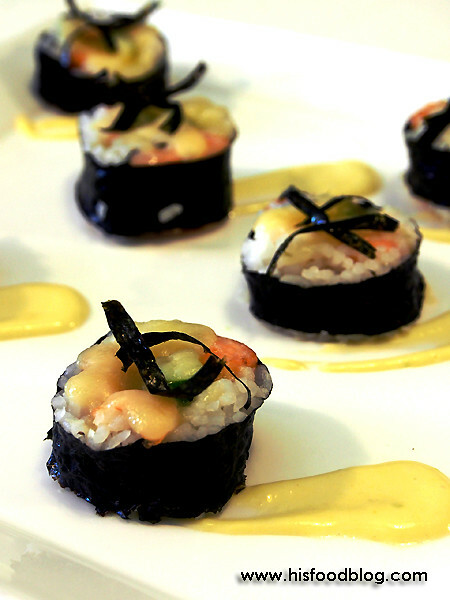 Next up, Sushi Rice Roll with Mozzarella Cheese and Smoked Salmon – a fusion of East meets West. 1. Place a sheet of nori on bamboo mat. 2. 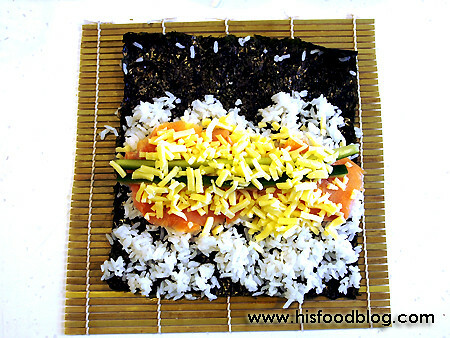 Distribute the rice evenly over the nori, leaving ¼ from top of the edge. 3. Lay down salmon, cucumber and Perfect Italiano Mozzarella Grated Cheese in the middle. 4. Hold on to the ends of the bamboo mat and roll, making sure that the ingredients are held inside it. 5. Remove bamboo mat and cut sushi roll. 6. 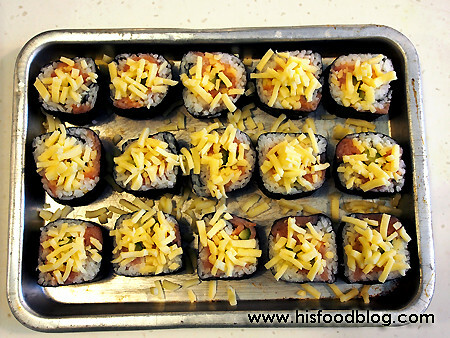 Sprinkle the top of the sushi with more Perfect Italiano Mozzarella Grated Cheese and gratinate cheese in an oven till it melted. 7. Serve with mayonnaise and/or wasabi. 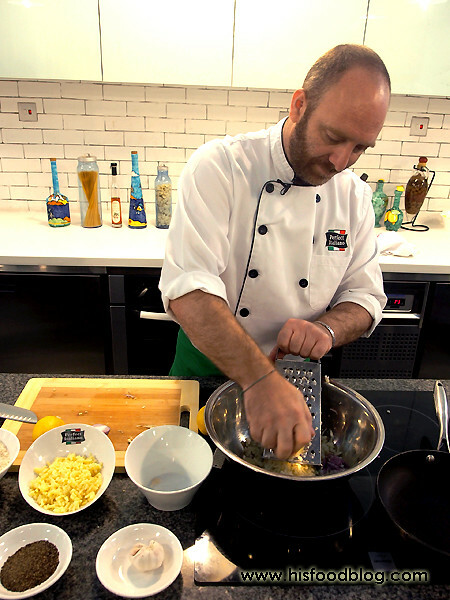 Chef Lino gave the last dish an Asian twist from his very own homemade recipe – the Deep Fried Potato with Mozzarella Cheese. 1. Shred potatoes in food processor and place in strainer. Sprinkle with salt. Drain for 15 min. 3 Squeeze potatoes dry and place in mixing bowl. 4. Add cornstarch and mix thoroughly. Add all remaining ingredients (except panko crumbs and oil) and mix well. 5. Add Perfect Italiano Mozzarella Grated Cheese. Drop a tablespoon mixture into the panko crumbs. Coat all the way around. 6. Heat oil in pan. Lower patties into oil and flatten patties with a spatula. Patties should be 2 inches across. 7. Fry until crisp and golden on the bottom. Fry the other side. 8. Drain the ready to serve. Serve with sweet and sour sauce. 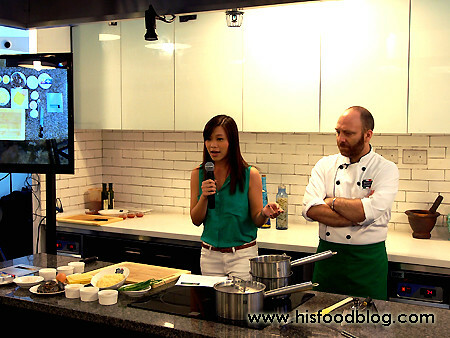 Overall, HFB had tons of fun from the cooking session and if you are keen to find out more about their products or other recipes, do visit Perfect Italiano website here.